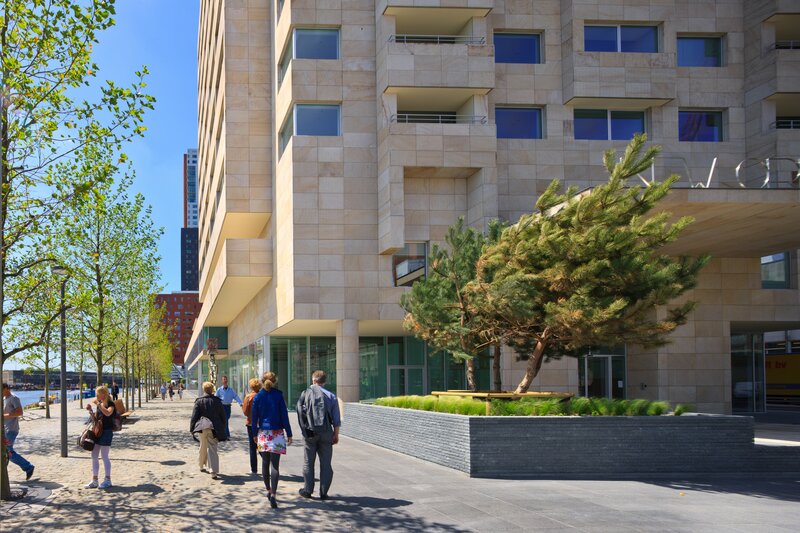 Our short stay apartments in Rotterdam are situated in one of Rotterdam’s most iconic residential skyscrapers: New Orleans, which is located in one of the most popular spots in Rotterdam, the trendy ‘Kop van Zuid’ neighborhood. 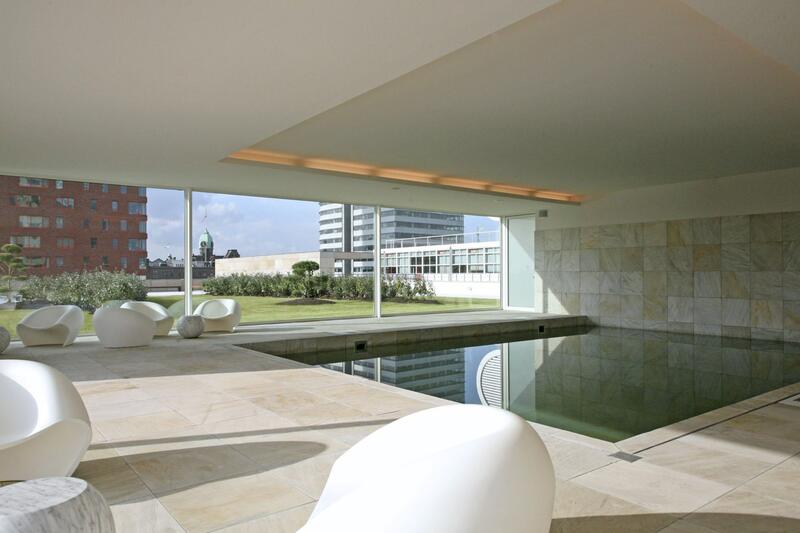 This exclusive property sits on the banks of the Maas River. 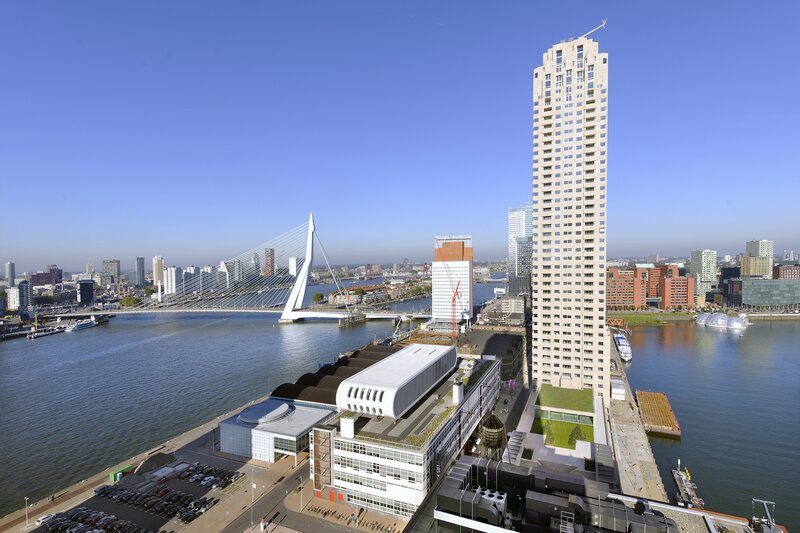 From there, you can reach the city center in no time; downtown Rotterdam is right across the river. Our guests will be happy to discover numerous restaurants, cafes and shopping opportunities and two theaters in the close proximity. 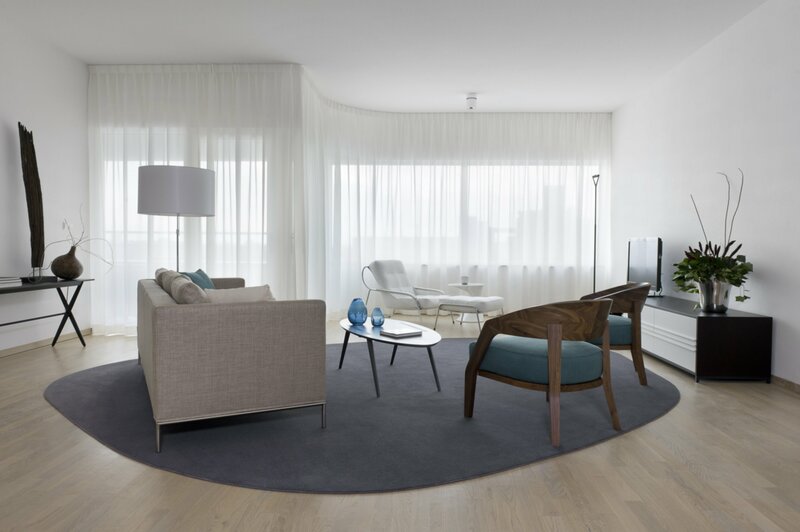 In the direct vicinity of the residence, residents will also find excellent transport links: the subway, several tram lines and a bus connection. The location is also ideal for frequent travelers with Rotterdam The Hague Airport only a 20-minute drive away and the Amsterdam Schiphol Airport approximately 45 minutes away. With four different types of apartments, from smart one-bedroom apartments to executive two-bedroom apartments, there is always an apartment that suits your lifestyle. Every apartment features a comfortable sofa, a flatscreen TV and DVD-player, open-plan living area and separate room with a washing machine and dryer. Apart from the dining area, there is a modern all-white kitchen with plenty off cupboard space. It comes complete with a stove, oven/microwave combination, fridge with freezer, dishwasher, toaster, kettle, coffee machine, as well as kitchenware. The minimalist bedrooms come with ample closet space and comfortable beds. 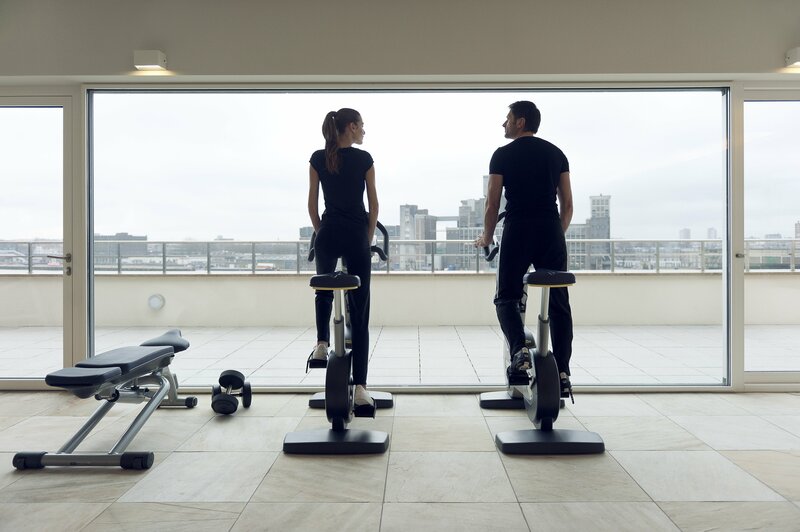 The property itself also has a lot to offer: New Orleans is designed to make your everyday life more enjoyable and easier, with in-house facilities such as a private health club, swimming pool, sauna, steam room, fitness room, relaxing sun deck, camera and controlled access security and private carpark underneath the building (extra fees may apply). With all these extras we believe it won’t be a problem to ‘dock’ here for a while. 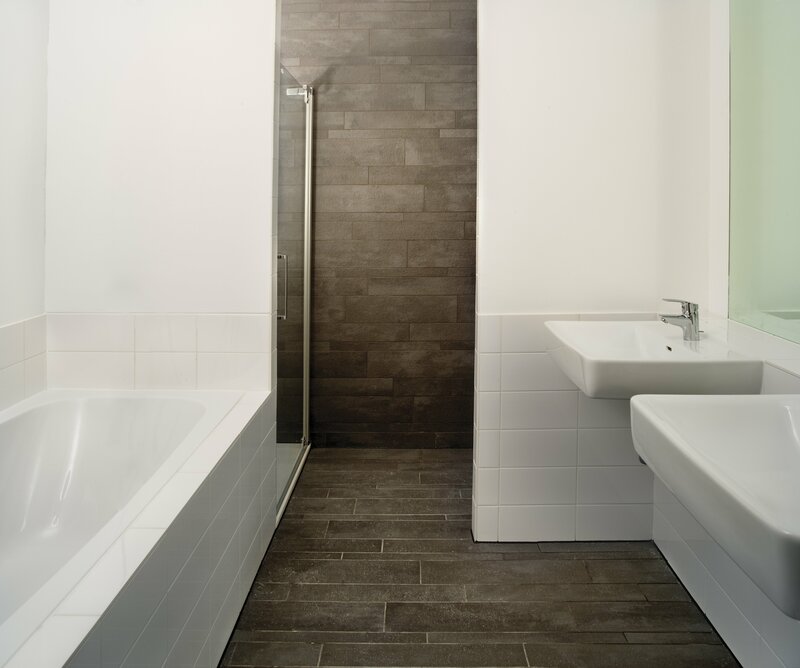 We complement these general facilities with a weekly cleaning service, including changing your (bed)linen, towels and bathrobes, TV and internet (included), Nespresso coffee machine and in-room safes. Guests can request a baby cot, chair or extra rollaway bed and you’ll also be able to bring your furry friend with you since this property is pet-friendly. Last but not least, our guests can use the Corporate Housing Factory app. The app holds all the information regarding the apartment and local information such as restaurant recommendations. 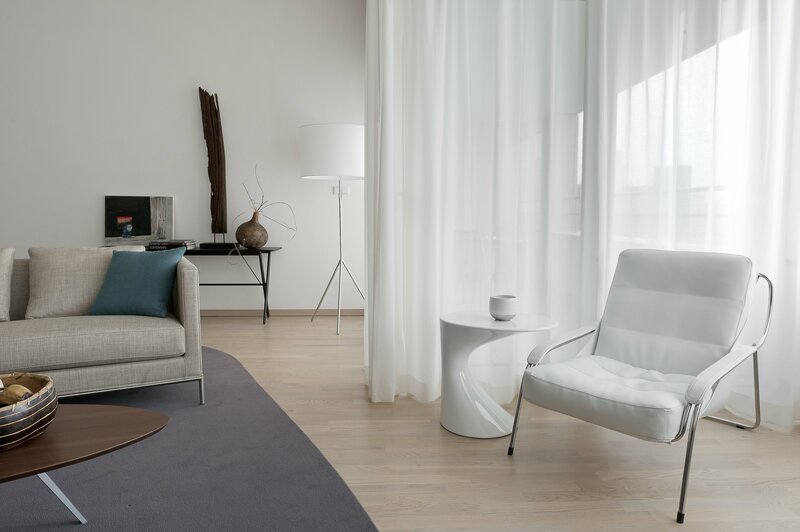 Our short stay apartments in Rotterdam have everything you need for your corporate stay!